When purchasing a fifth wheel, it is crucially important to know what kind of truck to get. Some people say that it can be a smaller truck and others do not even know. Let’s shed some light on this subject. What kind of truck do you need to tow a fifth wheel? You will need at minimum a 3/4 ton truck. A one-ton dually truck with an eight-foot bed would be ideal because it can handle that much more weight. Smaller trucks, like the F150, are advertised with the ability to carry a fifth wheel but I would not trust that. The bigger the truck, the better. This is just a general idea of what you are looking at for different weight ratings. I go more in depth about all of these things and what they mean. Just know that the higher number of the vehicle name, the more fifth wheel weight it can haul. What Kind of Truck Do You Need? 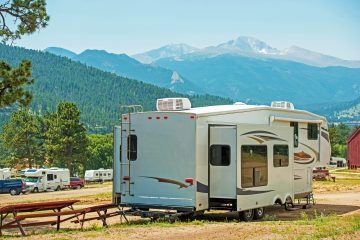 Towing a fifth wheel is no simple feat. You will need a large truck to pull these things. Generally, fifth wheels weigh about 2,000 lbs. So what does that mean in terms of trucks? A fifth wheel hitches differently than a trailer. A fifth wheel hitches in the bed of truck between the cab and the rear axle, whereas a trailer hitches on the tail end of the truck. Because of this, the pivot point is taken away in favor of dispersing the weight around the back of the truck. Since the weight is dispersed, you can potentially put more in the fifth wheel without having as many problems. With more weight though, you will need a bigger truck. Let’s talk about truck size. Truck Size: Does it Matter? A lot of smaller trucks (F150 or Chevy 1500) are advertised as able to tow fifth wheels. The only problem with that is that it can’t if you want your truck to work properly afterward. I do not advise it and it is potentially dangerous. For even the smallest of fifth wheels, I would suggest getting a 3/4 ton truck at a minimum. I would feel even better if I had a full ton truck that is a dually. 1/2 ton, 3/4 ton, and 1 ton. Back in the 1920s/1930s trucks actually carried those amounts and that is how they were advertised. the 1/2 ton only carried half a ton, the 3/4 ton hold held that much and so forth. As with the advancement of technology, trucks were able to carry much more weight. Each of the different trucks have different suspensions. The better the suspension, the more it can carry. The 1-ton trucks do have bigger frames to support the weight as well. Here is a forum where some people explain what each of different sizes means. A good rule of thumb is to have the Gross Vehicle Weight Rating (GVWR) of the vehicle to be more than the weight of the truck and trailer tongue together. It should surpass the weight by about 10%-15%. That is the bare minimum. The tongue weight is about 10 percent of the gross trailer weight (GTW). Let’s say that our trailer is 5,000 lbs. That would put us at 500 lbs. Let’s say we use the Ford F150 and that weighs about 5,000 lbs. The Gross Vehicle Weight Rating of the F150 is let’s say around 6,500 lbs. Combine the weight of the truck and the trailer tongue to make it 5,500 lbs. Then figure out what percent of 5,500 is 6,500. 6,500 is what percent of 5,500? I did some calculations and in the end, 6,500 lbs (GVWR of F150) ends up outweighing the combined weight of the truck and trailer tongue by about 18%. If you had the Ford F250, the Gross Vehicle Weight Rating would outweigh the truck and the trailer tongue by about 25%. I would personally have as much GVWR as I can to support the truck and the trailer. Now there are other factors like if you have two wheels on the back of the truck for support or if you have an even bigger truck with various perks. But generally, that is how it works. The bigger the truck, the better. When you drive, you want to be in charge of the vehicle and the trailer, not the trailer in charge of the vehicle and you. This will be easier if you have a bigger truck. I created a table of the best truck for pulling a fifth wheel to give a simple visual. Remember: this is all approximate. I hope that this helps! Right off the bat, I am going to say that you will want to have the biggest truck bed you can get. That size is eight feet. The reason why I suggest an eight-foot bed in your pickup is that when you mount your fifth wheel, you need space for the trailer to maneuver and not hit the back window. If you do not have an eight-foot truck bed, it is not the end of the world. You will have to be much more cautious. You can get a slider hitch which is a blessing from the heavens because it lets you move the connection point for the trailer and the hitch up and down the bed of the truck. This is an incredibly useful thing to have if you do not have a long, eight-foot bed. I still suggest getting the longest bed you can. It is a really nice convenience. Once again, it depends on the kind of truck you have. All of these numbers are approximate and some are only that high if you have the best perks for your car. I think that towing is self-explanatory. Do not overload your truck with too much weight. My recommendation is to not even come close to the max towing capacity. I always suggest having a 3/4 ton truck at a minimum. If you can have a full ton, go for it. More is better in this case. Important: Towing capacity does not mean how heavy the trailer can be with nothing in it. Some people misunderstand this and think that 10,000 lbs towing capacity means getting a trailer that weighs 10,000 lbs. It does NOT. Towing capacity means that the max the vehicle can tow is 10,000 lbs total. That includes everything extra you put in the trailer and the trailer weight alone. This is called the Gross Trailer Weight (GTW). Do I Need a Gas or Diesel Truck? Assuming you bought your truck for the sole purpose of hauling a fifth wheel around, I would highly suggest in the investment of a diesel engine. WHY? You may be thinking that gas costs less and you would be right. Gas prices are cheaper and it costs less per gallon. However, there is one big thing that makes a difference. You are driving with a fifth wheel behind you. 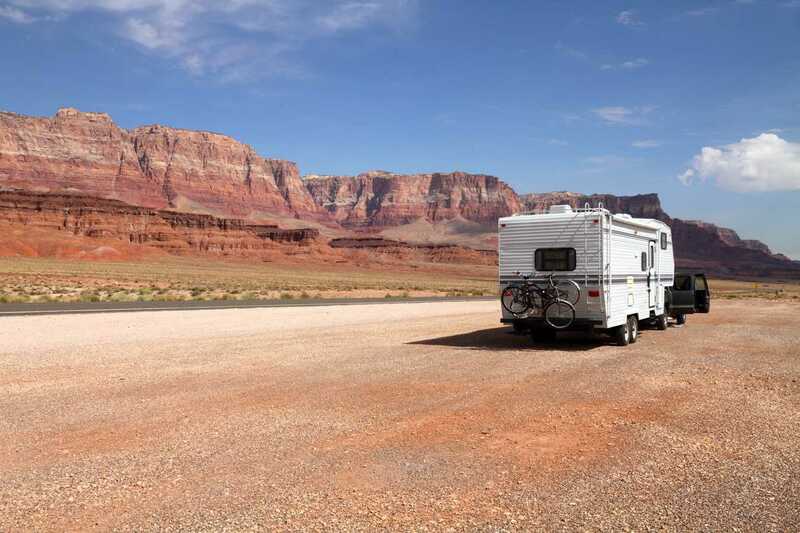 Generally, when people buy fifth wheels, they plan on traveling long distances with it. Diesel has a great advantage over gas in the fuel economy department. When comparing diesel engines to similar functioning gas engines, diesel engines have 25%-35% better fuel economy. Diesel engines also create far more torque because of how the fuel is burned. You will be able to tow heavier things and having that added bonus is a really comforting thought. Diesel engines will not need to be fixed as soon as a gas engine will. They last for a long time because of the way they are built. 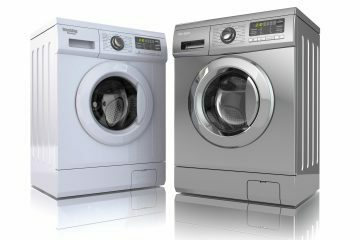 Although, once it is time to get them fixed, do NOT hesitate. Avoiding maintenance on a diesel engine will cost you more money in the future. With our modern technology, diesel cars are outperforming gas-powered cars in many ways like longer distances of driving and greater fuel economy. This is especially true for longer trips. 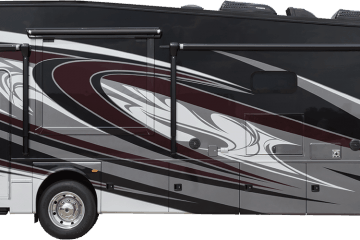 If your plan is to go traveling in your fifth wheel and stay on the road for a long while, diesel is the only way to go. Upfront, gas is way cheaper but compare it to similar functioning diesel engines and overtime, diesel engines are looking might nice. Does My Truck Need to Be A Dually? I personally say that it can’t hurt. It will not be impossible without it. If you have a smaller fifth wheel, then sure go without it but if you have a 35-foot fifth wheel, you are going to need something bigger. The whole idea of dually or Dual Rear Wheel (DRW) was created because people had to haul heavy loads like horses or heavy objects. That is exactly what you will be doing while pulling a fifth wheel. Another reason why I suggest this is because of the uniqueness of pulling a fifth wheel. Usually pulling something involves pulling on a hitch which holds a little weight but not the whole thing. A fifth wheel is hitched directly to the bed of the truck between the cab and the rear axle. This puts a lot more pressure on the back tires and having that extra weight support is very real and noticeable when driving. Single Rear Wheel (SRW) has a little bit better fuel economy and that becomes very real over a long period of time but I would personally take the added support of weight over the extra mileage. Personally, any power or extra support I can get, I go for. It just makes me feel better about what I am doing and I feel more able to accomplish the task at hand. If you can add support up to even a few hundred more pounds, you will be set. 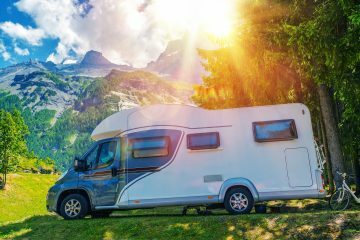 There are small ways that you can make hauling an RV easier. These things could be increasing your towing ability, improving your engine performance, etc. It will not be anything major but it will help a little. If you are looking to be able to increase the amount you can pull, then you may want to look into getting a bigger truck. 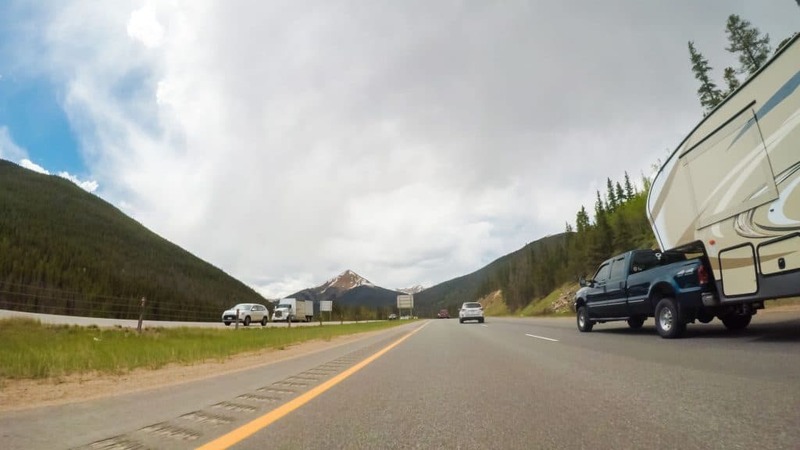 Not everyone is going to want to do this but if you do, here are some small ways that you can increase your towing ability ever so slightly and make your trip easier for you. Decide for yourself whether this is worth your money and time. You can either completely redo your suspension system on your truck or get springs replaced. This is a good idea if your truck is getting too low to the ground. You can look into getting suspension lift kits. Especially in the back where you are worried most about the car getting too low. Coilovers are also an option. They are more expensive but they are pretty great to have. Coilovers do help a lot with giving you some increased handling and that can work wonders when driving for a long time and making sure you are in control of the fifth wheel. Many fifth wheels have leaf springs installed under the axle. You can purchase an Over-Under Axle Conversion Kit to give you that much more of suspension for your fifth wheel. Engines get warm, and if they get too hot it can hurt your car’s ability to function properly. When you are pulling something, that puts a heavy strain on your engine and it heats up. A radiator will help your engine to cool down. The bigger your radiator is, the faster it can cool down your engine. When you are putting a lot of strain on your engine, this added bonus will help you sweat a little less while hauling your fifth wheel. Cold Air intake systems are an incredible piece of work. They are amazing because they allow the engine to breathe! Cooler air is denser and that means that there is more oxygen to be pulled into the combustion chamber which then means more power output. Also, the colder air helps keep temperatures down. Along with this, the airflow is increased which is a much-needed perk because the hot air will not get as hot. The only thing I can think of that you should watch out for is getting water near this thing. The air filter can be a little more exposed this way and if water gets in there and then into the engine, you will be in a lot of trouble. This sounds really simple and unimportant, but it can help. Do not bring a lot of needless stuff. Only bring what you need and a few extras. You do not need the best equipment and the fanciest stuff. Your vehicle and trail both have a curb weight (or dry weight) and gross weight. Gross weight is how the vehicle or trailer can hold in totally with passengers and cargo. I recommend not using the gross weight as a gauge for how much stuff you can pack in your vehicle or trailer. Whatever you bring, keep it simple and light. Weight does add up. Water, food, gas tanks, accessories, and gear all add weight in large amounts together. Some things that people bring in excess are clothes, plates and utensils, entertainment, and random objects. Leave the excess at home. Plus, if you have less stuff to haul around, you will have more space to breathe in your fifth wheel. 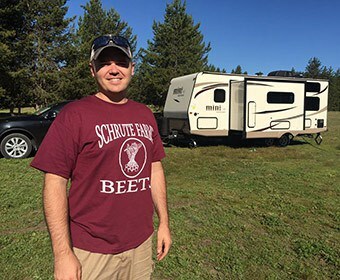 I think the most beneficial thing you can do for yourself before going on a road trip with your fifth wheel is to learn about hauling and how everything works. Study about how to attach the fifth wheel to the bed of your truck. Learn about the problems that could go wrong and how to fix them efficiently. There are different aftermarket things you can add to your truck. Some of the most important things you can learn are to do an in-depth study of Gross Vehicle Weight Rating (GVWR), Gross Trailer Weight (GTW), and the like. I have told you a lot about what trucks can handle pulling a fifth wheel. Some smaller trucks cannot pull a fifth wheel efficiently. There is so much you can learn about for pulling a fifth wheel. 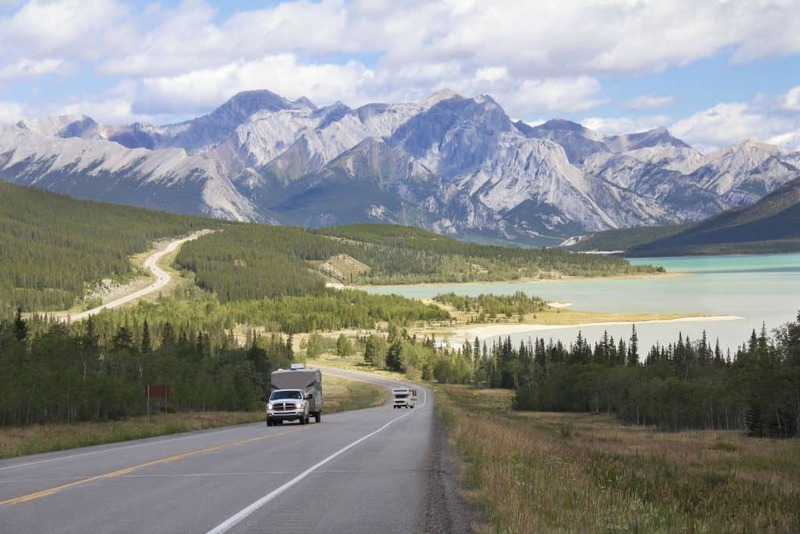 Make sure you are knowledgeable about trucks and fifth wheels. That will make your trip go smoother and if something goes wrong, you might be about to fix some things or at least have an idea of what is wrong. All of these things that I have talked about comes down to how you are going to use your vehicle and what matters more to you. Are you mainly using it for hauling massive things behind you or are you going to frequently use it for every day without heavy loads behind you? Let’s assume that you will be mainly, if not solely using this truck for hauling your fifth wheel around. I would recommend the Ford F-350 Super Duty with DRW and long bed. I recommend this truck because of its torque and horsepower. I gotta hand it to the Power Stroke engine. I will say that Cummins engines are popular and well respected. I have a lot of respect for them. But the Power stroke wins in my mind. I really appreciate the higher amount of torque and horsepower. I will take all I can get for hauling a fifth wheel. I choose the F-350 because it is a full ton. The bigger frame and better suspension really make a difference when pulling something behind me and sitting the fifth wheel on it. The Ford F-350 costs more than the other trucks and it costs even more if you want something other than the base model. I feel like the extra power is a good trade-off. That’s my recommendation. I would suggest doing your own research along with what I wrote. Of course, everybody is going to have their own opinion and everybody has their own preference. Good luck finding your perfect truck! Can a half ton truck pull a fifth wheel? I do not recommend it. 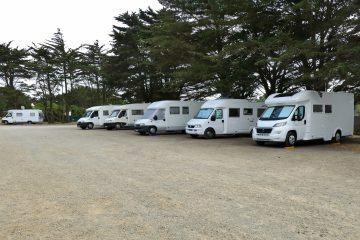 It can be done but you would need a really light fifth wheel. There are lots of weight logistics to get into and in the end, I would say that pulling a fifth wheel with any half ton vehicle is not a good idea especially for long trips. What size truck do I need to pull a fifth wheel? Most people suggest having a 3/4 ton truck at a minimum. It can be done with a half ton truck but if you are going to be going on long trips or have a moderate sized fifth wheel, you will want a bigger truck. Do I need a diesel truck for towing? Diesel trucks are the way to go for traveling with a fifth wheel. Gas is cheaper upfront, but when you factor in long trips, diesel is cheaper because of its superior fuel economy and power.